Glaucoma is an eye disease that can eventually cause vision loss. At-risk patients require ongoing monitoring from an optometrist at one of our 12 Kansas City and Smithville optometry locations. Our eye doctors provide both pre-operative and post-operative care for patients who receive a surgical referral from our Epic Vision Eye Centers. Failure of aqueous humor in the eye to circulate properly results in pressure on the optic nerve. This progressive problem can cause glaucoma, which is incurable, and accompanying vision loss. To preserve as much vision as possible, our eye doctors closely monitor patients with this disorder. One of problems identifying this condition is that many patients notice symptoms only when the disease has already reached an advanced stage. The most effective treatment occurs during the earliest phases. This eye disease can occur in one or both eyes. When it affects both, the incidence might more severe in one eye than in the other. The two types of the disorder are open-angle, which is the more common, and angle-closure. The reason why there is insufficient fluid drainage determines which type is present. Other risk factors are being older than 40; experiencing a force or chemical eye injury; and developing infections, specific inflammatory conditions, or blocked blood vessels. 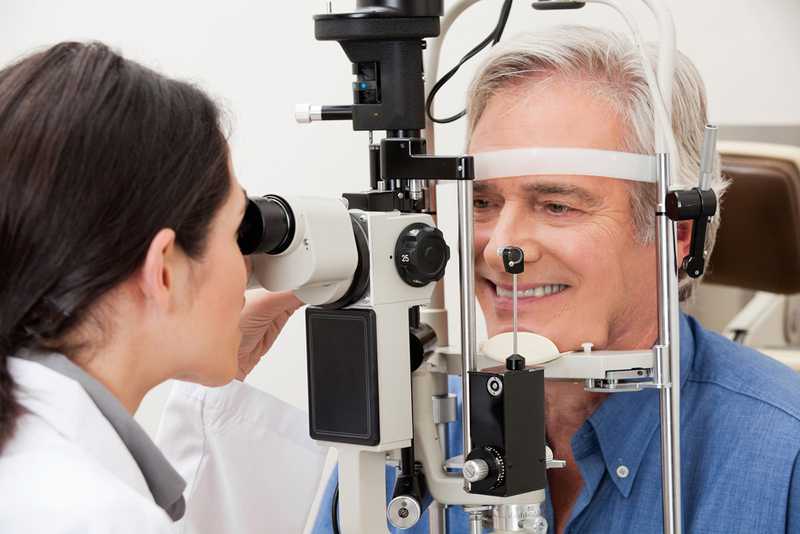 A glaucoma diagnosis from our doctor of optometry signals the need for lifetime treatment. The key to safeguarding the optic nerve by lowering eye pressure is early diagnosis and professional treatment. Each patient receives a customized treatment plan from our eye doctor. It is typically a combination of therapies such as medicated drops, medications that work systemically, and glasses to correct vision. Our optometrist notes that it is sometimes possible to halt damage to the optic nerve. In cases of surgical referral, we are happy to resume the patient’s care after the procedure. Vision is a precious asset. Be sure to protect it with regular eye exams performed by an optometrist at one of our Kansas City and Smithville offices. Our full-service Epic Vision Eye Centers have advanced diagnostic tools to help determine your risk for this and other conditions. Be sure to call our main optometry office in Smithfield, MO at 888-749-7755 today to schedule an appointment at the most convenient of our 12 locations.